DETROIT — In a courtroom packed with police officers, some armed, and their families, Wayne County Circuit Court Judge Cynthia Gray Hathaway today denied a defense motion for a mistrial in the case of Detroit Police Officer Joseph Weekley. Weekley killed Aiyana Stanley-Jones, 7, on May 16, 2010, with one shot to the head from an MP5 semi-automatic machine gun as a military police unit stormed her home. He faces one charge of involuntary manslaughter and one charge of reckless use of a firearm resulting in death in this retrial. Defense attorney Steven Fishman cited emotional testimony given Sept. 24 by Aiyana’s grandmother Mertilla Jones, who saw her granddaughter killed in front of her. He claimed her “behavior” was premeditated, and asked for a mistrial. Judge Hathaway said if Ms. Jones reacted similarly on cross-exam, she WOULD call a mistrial, and that it was likely Weekley would never be tried again. She also threatened to take action against Ms. Jones. 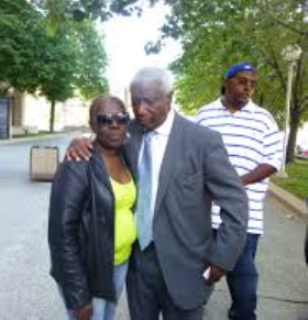 See raw video of Ms. Jones’ testimony Sept. 24 below and decide for yourself. 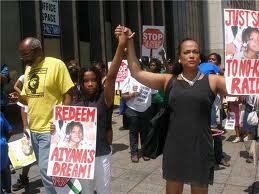 Scott called on supporters of the Jones family to come to court on her behalf Tues. Sept. 29. Due to crowding of the courtroom today, it is likely they will have to be there quite early, well before 9 a.m., to get a seat. The judge had just individually polled all jurors in a closed session to see if Ms. Jones’ testimony made it impossible for them to carry out fair and impartial deliberations. Most said they had expected emotional content to the trial but would not let it influence their consideration of the evidence. One juror, however, noted that Fishman was treating police officer witnesses and members of Aiyana’s family differently when he cross-examined them. “It’s almost like the police got respect, and the family didn’t get respect … that upset me,” she said. 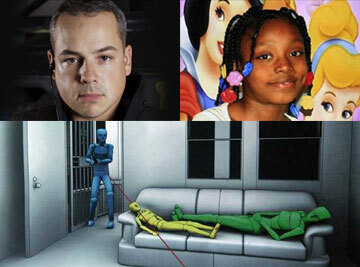 Fishman had been extremely confrontational and hostile to Aiyana’s aunt LaKrystal Sanders during her cross exam. Fishman noted today that Jones had not reacted as severely in three previous hearings. Steve Fishman after earlier trial. 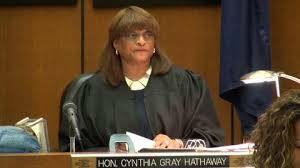 The jury in Weekley’s first trial in June, 2013, which Hathaway declared hung after only three days of deliberations, had only one Black member. The current jury has five African-Americans, one woman who appears to be from India, and one who appears to be Arabic. There are seven Caucasians on the 14-member panel. Citing a related appeals court decision, Fishman compared Ms. Jones’ testimony to the showing of the movie “Malcolm X” to a majority-Black jury during the trial of Officers Larry Nevers and Walter Budzyn. In 1992, Nevers and Budzyn beat Malice Green, an unemployed steelworker, to death with their heavy flashlights so severely that an autopsy showed his scalp had become detached. The jury found them guilty of second-degree murder. The verdict was overturned on appeal. Later, the Michigan State Legislature abolished Recorders’ Court, considered one of the most efficient in the country, because it required that all judges and juries be from the majority-Black city of Detroit. 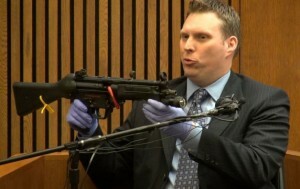 Weapons expert Brent Sojea with gun that killed Aiyana. Fishman said nothing about the consequences a police officer should face for killing a seven-year-old child. He claimed in his opening statement that Ms. Jones “interfered” with Weekley, causing the gun to fire. But a weapons expert testified earlier in the trial that Weekley’s gun could not fire without its carrier exerting eight to nine pounds of pressure on the trigger. Other members of the “Special Response Team” said the gunshot that killed Aiyana went off within “seconds” of the team’s entry into the home, with Weekley in the lead position. They said they were trained to keep their finger off the trigger even if someone tried to take the gun from them. An officer who entered the house early on testified that he saw the casing from the spent cartridge directly inside the doorway, on the floor next to left side of the couch where Aiyana was sleeping. But an evidence technician testified later that he found the cartridge in the middle of the room, near where Ms. Jones had been sleeping. It appeared as if someone had moved the casing to lend weight to Weekley’s claim that Ms. Jones struggled with him. Expert depiction of Aiyana Jones’ killing. An original autopsy report said Aiyana had been shot in the neck, with the bullet wound exiting in her head, also in line with Weekley’s claimed scenario. After an independent autopsy, however, the Wayne County Medical Examiner revised his report to show the entrance wound at the top of Aiyana’s head. She said she too had researched precedent on the cases cited by Fishman, but did not receive the motions until that morning. Fishman said he did not work Thursday and Friday due to the Jewish holidays. Atty. 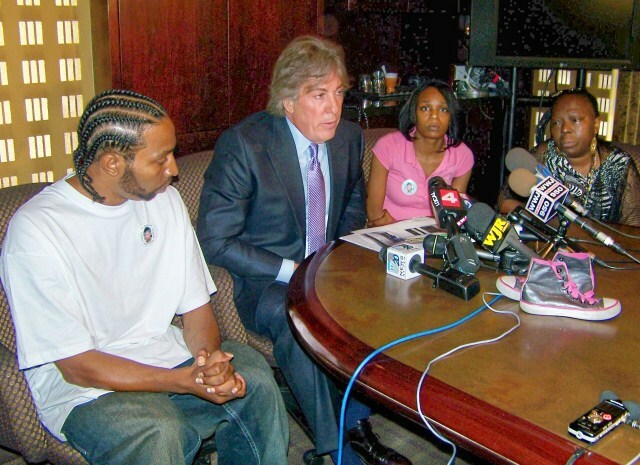 Geoffrey Fieger holds press conference May 27, 2010: l to r Aiyana’s father Charles Jones, mother Dominika Stanley-Jones, grandmother Mertilla Jones (weeping). Both mother and grandmother have lost significant amounts of weight and experienced PTSD since that time. Father Charles is serving a 40-60 year term in prison in the killing of JeRean Blake. Jury found him guilty of second-degree murder although they acquitted him of gun charges which were the basis for the murder charge. His case is on appeal. “The only thing we haven’t done is that the witness deserves to know without a doubt what the consequences are if she continues to behave with outbursts like last week,” Hathaway said. Hathaway earlier delayed Weekley’s trial repeatedly, claiming that a separate murder case against Aiyana’s father Charles Jones and common-law uncle Chauncey Owens had to be decided first. 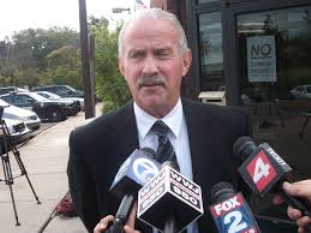 Weekley was tried in June, 2013, but Hathaway declared a mistrial after only three days of jury deliberations. During editorial commentary on Ms. Jones’ testimony last week, one TV analyst said it looked like Weekley had no support in the courtroom, that only Aiyana’s family members were present. It was clear there was a concerted effort to reverse that today, and that it will continue tomorrow. Although this case is about an officer killing a child, several family members of officers who had BEEN killed were in the audience, including James Bowens, the father of Detroit police officer Matthew Bowens. 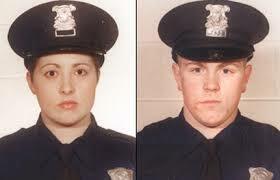 Bowens and Officer Jennifer Fettig, both rookies, were shot to death in 2004. Bowens then began an unsuccessful campaign for Michigan to restore the death penalty, although Michigan was the first state to abolish it in 1957. Eric Lee Marshall, then 21, was found guilty of the killings of the two officers despite remaining questions. 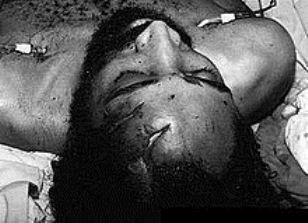 He died after six years in prisons all over Michigan and the removal of several of his organs. He told his brother during a visit that guards were trying to kill him. Fettig grew up in a town in the Upper Peninsula near the first prison he was in.